When anyone thinks of a superhero team, no matter which it may be, there are usually a few characters that come to everybody’s mind. In the case of the Teen Titans, one normally pictures the likes of Robin, Starfire and Kid Flash. 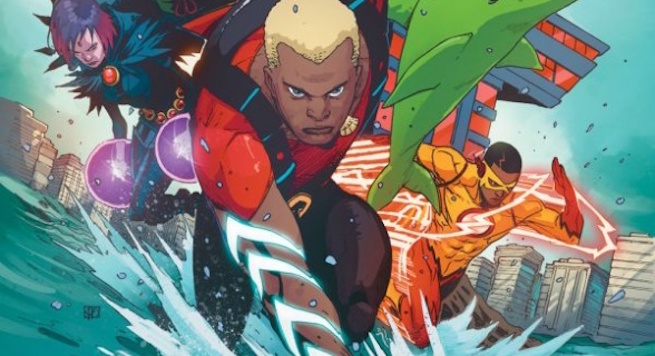 But if you’ve got Young Justice on the brain, you’ll probably argue that Aqualad should be mentioned in the same breath. I don’t know if I’d go as far to say that, but it definitely is friendly toward new readers. So, if you feel like testing the water for yourself, pick up a copy of Teen Titans #6, which is now available in comic shops.